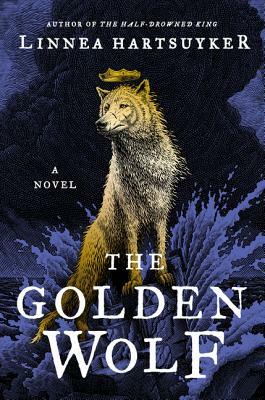 The final installment of Hartsuyker's Golden Wolf trilogy doesn't disappoint. Just as good, if not better, than the previous two novels, we see Ragnvald and Svanhild, Harald and Solvi, in their late-middle years. Family ties threaten to tighten around our heroes' necks as the young sons of Harald and Ragnvald create increasing trouble for the old warriors. Svanhild's own daughter, Freydis, is kidnapped and brought to Iceland by Ragnvald's half-brother Hallbjorn, who is seeking his own glory and renown. Rebellion stirs not only in the outlying lands, but closer to home, as well. Tense, heartbreaking and full of adventure, the conclusion of Hartsuyker's trilogy is as much about family as it is about history, the unification of Norway under a single king. Steeped in as much myth and legend as documented facts, Scandinavia's history is brought to life beautifully. The fates of Ragnvald and his sister Svanhild unfold to their stunning conclusion in this riveting final volume in The Golden Wolf Saga, a trilogy that conjures the ancient world with the gripping detail, thrilling action, and vivid historical elements of Game of Thrones and Outlander. Ragnvald has long held to his vision of King Harald as a golden wolf who will bring peace to Norway as its conqueror—even though he knows that Harald’s success will eventually mean his own doom. He is grateful to have his beloved sister, the fierce and independent Svanhild, once more at his side to help keep their kingdom secure. Free from the evil husband who used her, she is now one of Harald’s many wives. While Svanhold is happy to be reunited with her beloved brother, and enjoys more freedom than ever before, she is restless and lonely. When an old enemy of Ragnvald’s kidnaps his niece, Freydis, his sister follows the daughter she has neglected to Iceland, where an old love awaits. This strange new land offers a life far different from what each has left behind, as well as unexpected challenges and choices. Ragnvald, too, must contend with change. His sons—the gifted Einar, the princely Ivar, and the adventurous Rolli—are no longer children. Harald’s heirs have also grown up. Stepping back from his duties as king, he watches as his sons pursue their own ambitions. But Norway may no longer be large enough for so many would-be kings. Now in their twilight years, these venerable men whose lives have been shaped by war must face another battle that awaits. A growing rebellion pits Ragnvald and his sons against enemies old and new, and a looming tragedy threatens to divide the hardened warrior from Harald and all who care for him. Across the sea, Svanhild, too, wrestles with a painful decision, risking the dissolution of her fragile new family as she desperately tries to save it. Yet as old heroes fall, new heroes arise. For years, Ragnvald and Svanhild pursued the destinies bestowed by their ancient gods. Though the journey has cost them much, their sacrifices and dreams will be honored by the generations that follow, beginning with Freydis and Einar. Emerging from their parents’ long shadows, they have begun to carry on the family’s legacy while pursuing their own glorious fates. This compelling conclusion to the Golden Wolf trilogy recreates Viking-age Scandinavia in all its danger, passion, power, and glory—a world of brutality and myth, loyalty and betrayal, where shifting alliances and vengeance can build kingdoms . . . and can tear them down. Linnea Hartsuyker can trace her family lineage back to the first king of Norway, and this inspired her to write her debut novel, The Half-Drowned King, the first book in her trilogy about the Vikings, which was published by HarperCollins in the US, and internationally in six other countries. The Half-Drowned King was an Indie Next and a Barnes and Noble Discover Pick, and was named the best historical fiction book of 2017 by the American Library Association. Linnea grew up in the woods outside Ithaca, New York, studied Engineering at Cornell University, and later received an MFA in Creative Writing from NYU.